Liko loved school. He had dreams of graduating, getting a good job, helping to lift his family out of generations of poverty. But one day, tragedy struck. The village borehole water pump broke. Clean water was no longer available. The school’s feeding program shut down. The school itself closed. Village residents suddenly had to travel 13 miles to find water, and it was dirty. Children became ill from waterborne diseases. Liko was banished to the fields, to tend his family’s cattle — when he wasn’t hauling water himself. Storytelling is the most important skill you can learn as a fundraiser. Storytelling is the crucial aspect of what turns good fundraising into great fundraising and is essential to each part of the fundraising process. Donors don’t give because of logic. Facts don’t equal donations. Instead, it’s emotions that drive someone to donate. To change a life. To make an impact. To help someone in need. Many times, when we start out in fundraising, our logical side comes out: what if I just explain the great need? Millions go to bed hungry every night. Children are suffering. Families don’t have enough food to put on the table, a safe, clean and dry place to sleep. Millions of children can’t attend school. The need is so great, if I just explain it to people, they’ll give. The impact is obvious. Unfortunately, it’s not. People have a hard time grasping the large numbers. They can’t wrap their head around the sheer scale of human suffering going on in the world. The poverty. The hunger. It’s not that people don’t care, it’s that they don’t have the capacity to believe that their $125 donation will make an impact on the millions. In other words, if I’m on a boat that’s flooding, using a cup to bail water is not going to make a difference. As a vivid storyteller, you can help connect the donor with one person his donation will help. In fundraising, we call this the Story of the One (SOTO). The story of the one person or family that the donor can help. In my example, it’s the story of Liko, a real young boy who’s life was flipped over when the village lost access to clean water. Let’s explore how to write a great fundraising story. Millions in Africa are – at this very moment – in need of food and water. In Kenya, there are 3 million people who go to bed hungry every night. You can help, with your donation and our 10x match, every dollar you give today is matched with $10 to help end hunger in Africa. “Sometimes I cry myself to sleep,” says Ukur, “we don’t have enough good to eat dinner every night.” Ukur is only 9 years old but understands what it’s like to go to bed hungry. His mom explains that the drought caused their garden to fail and the family is relying on neighbors — and they hardly have enough to feed their family. Right now through the end of August, we have a 10x match, so every dollar you give will equal $10. Connecting the reader with a real person will help motivate her to give. This may be one of the most difficult concepts to understand and put into practice. Your organization is a tool, a mechanism by which someone (the donor) can fulfill his desire to make a difference for your cause. You are not the hero in the story, you are the conduit by which the donor (the hero) can accomplish something good. You need to position your organization as helping the donor be the hero. In practice, this means writing about the impact the donor is making. There should be a lot more “yous” in your writing than “me” or “I.” You’ll use lines like “With the help of donors like you,” or “You are able to help children like Kevin …” instead of bragging about the good work your organization does. Don’t hear me wrong: your organization DOES great work! Your people, especially the ones working with the beneficiaries ARE heroes! But in the case of fundraising, you MUST position the donor as the hero of the story. Without her, you wouldn’t exist. Your nonprofit fundraising story should be for one project or concept. For example, if you send a fundraiser to raise funds for your new school, you shouldn’t also try to pigeonhole in a fundraising request for a new science program at your existing school. Donors can only connect with and process one concept at a time and when you make multiple requests, you end up paralyzing the reader who will choose to not act. 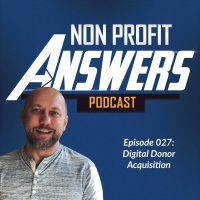 You must connect the donor with one story that has one clear easy to understand ask. Be very clear with what you’re asking the donor to do. Your gift of $25, $75, or even $125, will help us provide emergency medical kits to children like Juliette. The emergency medical kit is essential for children with diabetes to help stop life-threatening events like the one Juliette experienced. Please give generously today. Your clear ask will help the donor understand what she is being asked to do and how her donation will be used. Have a clear call to action, such as a “GIVE NOW” button and linked text within your body copy to the landing page for the donor to give. On your landing page, have a clear way for someone to give. Nothing is more frustrating then clicking through to a landing page and being unable to find how to actually donate. I recently received an email from an organization I support. I clicked to the landing page to give, read the story and then nothing. There wasn’t a give form on the page. The organization expected that I would click the the Give button in the navigation at the top, select what I wanted to give to, and then make a donation. Unfortunately, I, like many donors, expected an easy seamless experience and didn’t donate because it wasn’t clear what I should do. Don’t let this happen to you. So what happened to Liko? With the help of donors, Food for the Hungry replaced the borehole water pump. The school reopened. The feeding program restarted. His life was transformed, all because of a story. After the donation, make sure you creatively thank the donor.